Has something become our “functional savior” in place of Jesus? I’ve been teaching a Bible study on Galatians every Wednesday night for a few months now. In my opinion, it’s one of the best things I’ve done in my ministry so far. Last night we covered Galatians 3:1-6. You may recall that Paul is writing to a church that is being led astray by “Judaizers,” Jewish Christians who are teaching Gentile Christians that they must also observe Jewish ceremonial law—like circumcision, dietary laws, and holidays—if they want to be fully Christian. As I told the class last night, if we’re not careful, we can easily imagine that the gospel is something we need at the beginning of our Christian lives—when we first place our faith in Christ and are born again. But after we’re saved, well… then it’s up to us. We can easily turn the process of sanctification into a project of self-improvement. Becoming holy—moving on to perfection, as we Methodists say—becomes a matter of will power: Are you still struggling with sin? Try harder! Paul would likely say that this quasi-gospel of “trying harder” is our attempt at “being perfected by the flesh” (v. 3). It will fail and lead to misery, as I know from personal experience. Like the Galatians, we don’t need a quasi-gospel; we need the real thing. So, we should not simply say: Lord, I have a problem with anger. Please remove it by your power! Give me the power to forgive. Rather, we should apply the gospel to ourselves at that point. Paul would tell us that uncontrolled bitterness is a result of not living in line with the gospel. It means that though we began with Jesus as Savior, something has now become our functional savior in place of Jesus. Instead of believing that Christ is our hope and goodness, we are looking to something else as a hope, to some other way to make us feel good and complete. Instead of just hoping God will remove our anger or simply exercising will-power against it, we should ask: If I am being angry and unforgiving, what is it that I think I need so much? What is being withheld that I think that I must have if I am to feel complete to have hope, to be a person of worth? Usually, deep anger is because of something like that. It might be that we want comfort above all other things, and someone has made our lives harder, so we grow angry with them. It might be that we’re worshiping other people’s approval and so get angry with anyone who in some way thwarts our bid for popularity and respect. This resonates with me. What about you? What are the “functional saviors” in your life? How could the gospel save you from them? 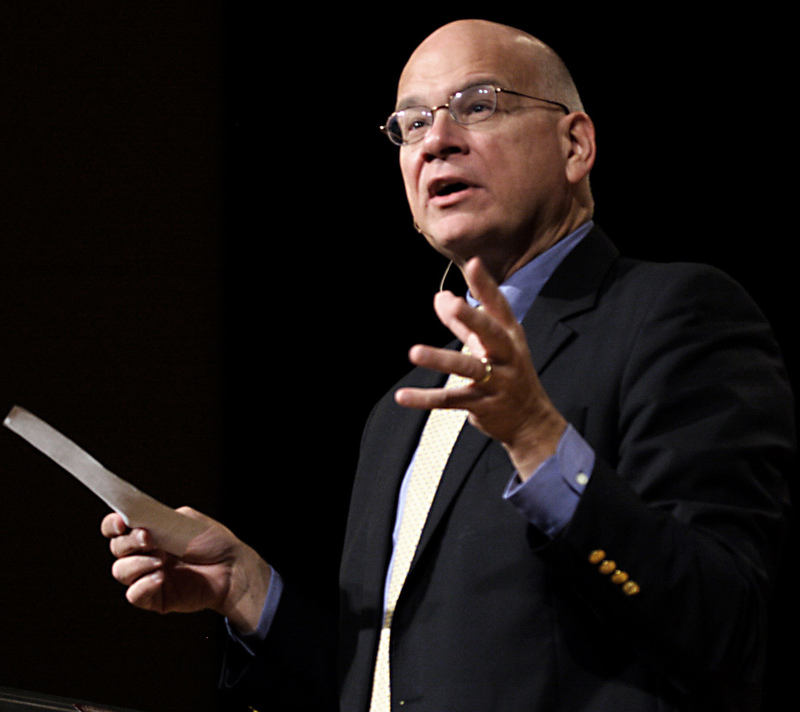 † Timothy Keller, Galatians for You (Purcellville, VA: The Good Book Company, 2013), 69-70. This entry was posted on	April 27, 2017 at 11:01 pm	and is filed under Uncategorized. Love Galatians. Preachers of another gospel, “let them be damned”. Paul doesn’t pull any punches! Including himself—if he preaches another gospel! Okay, I am reading an interesting book called “Salvation by Allegiance Alone.” The author makes the interesting suggestion that the word “faith” can also be translated “faithfulness,” which he interprets as meaning “to give allegiance to.” Not far along in the book, but it is an interesting thesis. The idea seems to be that when we make “faith” to mean something like, “I believe Jesus died for my sins,” we are doing something that is necessary but not sufficient. After all, the demons believe Jesus died for people’s sins but don’t change their behavior any. He points to Jesus’ own statements about salvation, noting that Jesus says, “Repent, for the kingdom of heaven is at hand,” and John the Baptist preached that, and Jesus’ disciples preached that when he sent them out, and Peter preached that at Pentecost, and even Paul himself said that this is what he preached to everyone, in one place in Acts. Plus. Jesus was always saying things like, “If anyone will be my disciple, he must deny himself, take up his cross, and follow me.” And saying about Zaccheas (sp?) that, “today salvation has come to this house” AFTER Zaccheas said he would give half his goods to feed the poor and repay fourfold anyone he cheated. So, if we are saved by “faithfulness” to Christ (giving allegiance to), then we are also perfected in our walk with Christ in that same way. So, what is Paul getting at in Galatians, if this understanding is correct? (Note that of course we can’t let our whole theology turn on one passage or book if it seems inconsistent with what many other passages say, especially many things Jesus said.) Not entirely clear (and this author has not gotten to that yet to have his take). However, recall your point that Paul was primarily taking on the Judaizers, those who were claiming that continuation of Jewish OT practices was necessary. Paul vehemently disagrees with that (as he does in several other places). So, the “works of the law,” if interpreted to mean the “Jewish laws,” could mean that those were the “old” law, whereas now we are under the “law of Christ” (as Paul himself says somewhere). We don’t come to Christ through such rituals–why would we think we need them to perfect our faith? So, it is certainly a good thing to “look to Jesus” and not “other things,” and realize that it can be “looking to other things” that “leads us astray.” But I don’t think such recognition relieves us of “effort.” If nothing else, it takes some “effort” to “disengage” ourselves from the things of the world (as Paul also says somewhere). Just recognizing that I should look to Jesus rather than pretty girls doesn’t in and of itself keep me from lusting. “Put away foolish lusts,” Paul also says elsewhere. A long way around, but I think the Christian life is a “battle,” as to which we need to “put on the whole armor of God,” as Paul also says (in Galatians?, or is it Ephesians?). I have heard of it. Scot McKnight has been blogging about it. It sounds like an example of the New Perspective on Paul: that when Paul uses “works of the Law,” the emphasis is on Torah-observance rather than “works” per se. I disagree. You can read plenty of commentary about the debate online, but Douglas Moo’s commentary on Galatians tackles the question head-on (as do many other evangelical scholars). As always, faith is not opposed to effort; it’s opposed to “earning.” That’s a helpful distinction for me. Of course a person who has genuine faith will demonstrate that faith through works, but the works themselves play no role in saving that person. I’ll match Zacchaeus with the thief on the cross, for instance. Or the woman caught in adultery. Or the paralytic with the four friends. Unlike Zacchaeus, they are forgiven prior to doing anything other than placing their faith in Christ. But Zacchaeus doesn’t prove your point: his resolve to give back the money he stole was a sure sign of saving faith. You worry that there’s an “easy-believism” that doesn’t require repentance and good works—and I’m sure there is. But in those cases, those people are demonstrating that their faith isn’t genuine, not that they haven’t performed requisite works needed for their salvation. Someone interrupted St. Francis of Assisi while he was gardening. They asked him what he would do if he learned that Christ was returning this afternoon? He replied, “I would hoe another row”. The point is that Jesus wants to find us working when he comes for us. It’s what he made us for. The nature of the works we do are what get effected by our being saved. They become a testimony to our faith. They are not what saved us. They are the “doing” we were saved for in this life. They are how God works out our salvation, not how He saved us. And, because of that, they are a very important. We do them for His glory. It’s obvious that “works” are very important to Tom, and that’s good, as long as he understands the relationship. We work because we want to please the Lord, not persuade Him. I agree. Logically, correlation does not imply causation, and this is true of the relationship between good works and salvation. Yes, there is a direct and necessary correlation between the two, but the works themselves play no role in “causing” us to be saved. Without them, we can judge that genuine saving faith (which does “cause”) doesn’t exist. Which is to say, for instance, that if the thief on the cross had come down off the cross and resumed his life, his life would have borne fruit worthy of repentance. Or, although we have no further information about her, the woman caught in adultery did repent of her sexual sin. These behaviors don’t contribute to salvation, but they are “fruit” of a salvation already granted. I think that authentic faith causes us to change our behavior (the meaning of repent) out of love. When I fell in love with my Emil, he mentioned that he enjoyed it when I smiled. So I smiled my heart out! And Emil would comment favorably when I was kind or gentle, and so I got kinder and gentler. Similarly, when I fell in love with the Lord, I saw that He required me to love unconditionally and He reminded me that I was purchased at high price and needed to act accordingly. It is not a performance based effort, it is a response to His life. Rosie, I like your example of responding to Emil, and agree that is how we should act when we are “in love” with someone. But let me ask you this. When you “started out,” didn’t you and Emil vow to each other, “To you I will cleave, forsaking all others, till death does us part”? You “pledged loyalty” to each other to begin this “permanent love relationship.” I believe this is quite similar to our “eternal love relationship” with Jesus. (Paul says that the relationship of marriage is a “picture” of the relationship between Christ and the Church.) The way I say it is, both of us say, “I want your life so much that I am willing to give my life to you to get it.” A “my life for your life” exchange. That is, Jesus wanted a relationship with us so much that he was willing to give up his life for us, and we want a relationship with Jesus so much that we are willing to give up our life for him. I recognize that people may not “think things through” to that extent at the moment of salvation, but that is essentially what the “saved relationship” is. Thereafter, we behave (or should) just as you suggest as between you and Emil. Of course, we will not do so perfectly, as we don’t in marriage. That is why we are not saved by works, because to be saved by works, you have to “keep the whole law”–be perfect. Whereas, “all have sinned, and come short of the glory of God.” So “none of us can boast” as though we “earned” our salvation. Instead, we are saved by, as this author puts it, a “pledge of faithfulness” (or “allegiance”), which is given to us as the way to salvation “by grace,” rather than requiring perfection from us, which no one but Jesus could do. At least, that is the way I see things at the moment. My understanding of saving faith would include allegiance. I don’t think I see a problem here. I recognize this may seem a “fine point” in a sense–after all, we both agree that there must be works following. But people should know that a wholesale commitment is required in the first instance for there to be salvation. “Enter through the narrow gate.” Though that does not necessarily have to be “recognized” by the person being saved at that moment. You give examples of people receiving Jesus’ grace without any “preface” of works “preceding,” but we are not made privy to the state of their hearts. Generally speaking, there may not be some “work done first”–there has to be a “willingness” to perform such works, which of necessity will result in such works as the occasion arises. I don’t see salvation by grace as being antithetical to these “works necessary,” as this author does not as well. The “grace” of the matter is that we don’t have to be perfect, not that there do not have to be any works. Finally, I would have to fall back on what the “preachers” said when they were introducing the “how to be saved” speeches in Scripture: “Repent,” “repent,” “repent,” over and over. So there does have to be a fundamental change in behavior, whether that behavior actually takes place before or after the “moment of salvation.” If I may put it this way, the works “consummate” the salvation, not just “naturally follow” from it. So, are you saying that works contribute to our being saved—without which we can’t be saved? If so, I still disagree with that. Tell me again your concern with saying “works naturally follow”? Maybe I would be more okay with, “Works MUST follow.” Without the works, there is no “consummation” of the salvation. Grace means, “My works don’t have to be perfect. I can slip up from time to time without losing my salvation. But I won’t make it ‘on the team’ unless the coach sees that I am trying to get hits and score runs.” Now, it may be that the coach does not actually gauge my “heart” until he actually puts me up at the plate in a ball game. That is why I say the works may not have to “come first,” but the “allegiance” does. But unless I swing the bat when the pitch comes, I am not on the team. I guess my concern with “works naturally follow” is that it weakens notification to the person considering getting saved “what he is getting into.” Jesus told people to “count the cost.” Don’t start to build unless you have enough to finish. He who takes up the plow, and looks back, cannot be my disciple. As I have said before, “If any WILL BE my disciple, he must deny himself, take up his cross, and follow me.” How many “appeals to get saved” do you know of where that is preached? I don’t want people to be misled as to what it means to “get saved,” even if inadvertently. There are an awful lot of people out there who believe “walking the aisle” is sufficient, and some preachers don’t disabuse them of that notion. (Not including you in that category, but it is one a lot of pastors seem to fall into.) We are too afraid of “works” that we leave that off as part as part of what salvation means. I don’t think Paul means that works are not part of salvation; rather, that works alone won’t save. (We have to have faith as the means, by God’s grace, because nobody can do “all the works” that it would take to be saved going that route–this precludes “boasting.”) Even Ephesians 2:8-9 is followed by verse 10. Final passage. When Peter preached at Pentecost, “they were cut to the heart. ‘Men and brethren,’ they cried, “what must we do?’ ‘Repent and be baptized, and you shall be saved. '” Not, “Just believe in Jesus.” Not, “Just ask Jesus in your heart.” Not even, “Be sorry for your sins, and ask Jesus to forgive you.” No: “Take affirmative action.” “Change your behavior,.” “Take a stand for Jesus by being baptized.” Now at that very moment, they may not have been faced with an action they needed to change, so God may have “looked to their heart.” But what He was looking for in the heart was: a willingness to change. Peter’s command to “repent” represents a the desire on the part of the sinner for a complete change in his or her life—a change in allegiance, by all means. That’s how Billy Graham always put it: bring to God the desire to change, and He will take from there. My problem with Tom’s position is that it leaves to question several issues. How much good works must follow? What would the measure of the sufficient quality of those works be? How and when would those works be judged? Are they continually judged, or can the saved person feel assurance of his salvation. These are just a few of the questions that cause me to reject this line of thinking. Works are the result of salvation, but they are not proof of it. They are not a requirement for it. And, they do not add anything to it. Grant, how do we know if a person has “faith”? Does that just mean, “I believe Jesus died for my sins”? Don’t even the demons believe that, as James says. “But will thou not know, that faith without works is dead?” “Show me your faith without works, and I will show you my faith by my works.” So, James evidently supports my position, aside from the passages I have mentioned. Even Paul says, “Test yourselves, whether you be in the faith.” What test? That you “believe strongly enough”? Or, “are your works demonstrating that you have faith”? The argument of “how much is enough” misses the point, I think. The question is, has your allegiance changed? I think that is something that a person can know. But people may not even realize that this is what is required, so we should let them know. Not give them false hope that “praying the prayer” is enough. Tom, if this were bowling, I would say that you’re only a couple of inches over the line. I promise I’m so sympathetic with what you’re saying. I can affirm so much of it. Yet I can still say, “But salvation is entirely a gift of God. Works add nothing to what God has done.” On the other hand, along with Paul, I can say that works give evidence. I quoted that verse in my sermon yesterday. This is not to say we do nothing; but what we do counts for nothing. “What we do counts for nothing.” Can’t agree with that at all. For example, Jesus “marveled” at the faith of the centurion, and granted healing as a result. In fact, he frequently said, “If you have faith….” And Jesus commended some of the Seven Churches for their “good behavior.” Paul says we get rewards based on how we build on the foundation. In fact, everything we do “counts for something.” Even R.C. Sproul, with whom I frequently disagree, has a good slogan: “Right now counts forever.” “I am he who searches the hearts, and I will judge everyone ACCORDING TO THEIR DEEDS,” Jesus says. A cup of cold water will not lose its reward. Etc. You misunderstand me: counts for nothing in terms of our salvation. “We are unworthy servants; we have only done what was our duty.” Nevertheless, our good works count for God’s kingdom and will be rewarded (or not) in final judgement. But even the reward is a gift of grace in God’s part. I didn’t earn it. I was only doing my duty, like the parable says. But that is only one parable, illustrating that God is not “beholden” to us. What about, “Well done, thou good and faithful servant! You have been faithful over a few things; I will make you ruler over many things.” Just because God is not obliged to give us anything does not mean that he does not “measure” what he does give us based on what we do. Jesus tells Peter and the other disciples that they will be richly rewarded because they had given up much to follow him. I recognize that God can do what he wishes with what he has (Parable of the workers in the field), but, again, what, generally speaking, does he choose to do with what he has? Why give us rewards at all? Why not tell James and John that nobody sits at his right hand and his left hand, instead of telling them that was not his decision to make? Why would Gabriel tell Daniel that he was “greatly beloved” (or, “highly esteemed”), except for his exemplary behavior (and see the illustration in Ezekiel involving him)? Why did God say he picked Noah to be saved from the Flood? Etc., etc. Per your other comment, I just disagree. I don’t believe God would “reward differently” based on nothing people “contributed,” as though he were “arbitrary.” “Far be it from you to treat the righteous as the wicked! Will not the Judge of all the earth do right?” Abraham says. Whether good works are meritorious, by the way, was precisely an issue in the Protestant Reformation. The Articles of Religion of both the Church of England and, later, the Methodist Church rule out works of “supererogation”: there’s no good thing we can do that isn’t merely our “duty”; moreover—to be a good Reformed Christian—even this good is enabled by the Spirit within, so there’s no room for boasting. I am not the one to judge that. Some people produce great “Works” very soon after regeneration. Other, are changed – sanctified – much more slowly. Some people have more to give, so more might be expected by God. Others, such as the story of the widow’s mite, may have less spectacular fruit. I am fully convinced that saving faith will/must produce evidentiary results, but I hesitate to opine as to what constitutes “enough” or “sufficient”. Grant, even the metaphor of “good fruit” implies that God has produced the inward change necessary for good works to follow. “Bad trees produce bad fruit,” Jesus says. Good trees not only produce good fruit, but Jesus implies by that statement that they will necessarily do so—if the tree has been transformed from bad to good. I totally agree. I was simply expressing a concern that we imply an ability to judge fruit on our own. Fruit we deemed to be paltry might be exceedingly pleasing to God. And, then there is the issue of producing different kinds of fruit. It’s probably not a one time deal, right? Guys, let me ask you this–what is the real problem with thinking that there may be some “human contribution” to salvation? Or the “Christian walk” thereafter? If it is a matter of “scriptural interpretation,” I respectfully submit I have proffered enough scriptures (and could more) arguing for God’s “recognition” of the “holiness” or “works” or “acts of faith” (or whatever else you might want to call them) of the saints as a basis for “commendation” and the rewards he distributes to Christians. “Now faith is being sure of what we hope for and certain of what we do not see. THIS IS WHAT THE ANCIENTS WERE COMMENDED FOR.” Hebrews 11:1-2 (NIV). (Then a list of those who acted “by faith” and DID certain things.) “THEREFORE God is not ashamed to be called their God, for he has prepared a city for them.” Hebrews 11:16 (NIV). (Then another long list.) “THESE WERE ALL COMMENDED for their faith.” Hebrews 12:39 (NIV). Also, as Abraham implies in the passage I mentioned above, it would be simply arbitrary on God’s part to treat Christians differently if there is no difference between them except what God “poured into them,” so to speak. So, CONCEPTUALLY, what is the problem? Could not God want to (and be able to) create moral agents independent of himself, whom he could interact with and respond to based on their own morality? I don’t see what is supposed to be “wrong” with that, as a conceptual or philosophical or theological matter. Of course, we know that we fall short of “deserving” God’s communion with us, since we have all followed in Adam’s footsteps, so to have any relationship with God requires “mercy” or “grace” on his part. So God has provided the means by which such grace could be provided to us, at great cost to himself. But we remain moral agents, who either may or may not appropriate that grace via the method that God has established. Depending on our response, we get the extreme difference between heaven and hell, and if heaven, our “status” or rewards there. I don’t think God’s obvious assistance of us through the Spirit wipes all that out. Thus, our kids when young could not accomplish their mathematics without assistance. But, what? The teacher would not be grading them based on how the teacher assisted them, but based on their own “contribution.” I submit the same is true in the spiritual realm as well. Certainly one aspect of our own contribution, paradoxically, is our willingness to recognize that we cannot “do the math” all on our own and be thankful to and solicitous of our “teacher” as we proceed. That, in simplified and “nutshell” form, is how I see this issue. Speaking for myself, the real problem is that I know myself to be a sinner who is helpless to keep God’s law and desperately in need of God’s grace at every moment. Romans 7 rings deeply true to me. Keep in mind: for all your biblical justification for semi-Pelagianism (literally that’s what you are advocating), Jesus teaches us not to “try harder” or to “do your best” but to be perfect as our heavenly Father is perfect. Are we not utterly condemned by God’s Law? Jesus himself amplifies the Law in his Sermon on the Mount and elsewhere: It’s not simply doing these things and avoiding other things; the purity of our hearts matters even more to God. Still, you would say that, because of the atonement, it’s O.K. that we can’t be (anywhere close to) perfect (or even “do our best” for more than a few seconds at a time)—Christ makes up the difference. But on what basis does Christ do that? You would say the cross: Christ died as a once-for-all sacrifice, upon whom God laid all of our sins—past, present, and future. When we believe in Jesus, our debt of sin is utterly wiped out. Just as our unrighteousness is imputed to him on the cross, so his righteousness is imputed to us. And we are united with him by the Holy Spirit when we believe, such that just as Christ was resurrected, so (we can be confident) we will be resurrected. That being the case, on what basis would God still condemn us—after we’ve placed our faith in Christ? Is the cross not good enough? Did Christ’s death not fully atone for our sins, such that there are still others for which we’re responsible. Because make no mistake: You’re arguing that’s it’s possible for God to condemn us for at least some sins—specifically, those sins that prevent us from “doing enough” to be completely forgiven. And God help us, according to your argument, none of us quite knows what those sins are, so let’s hope we don’t commit them! So what’s at stake for me is the meaning of the Christ’s atoning death on the cross, whose benefits we receive through faith alone. I would challenge you to think in broader theological terms, rather than isolating verses here and there. Luther, Zwingli, and Calvin, among others, knew their Bibles at least as well as we do, yet they affirmed justification by faith alone. So do I. Besides, all of your well-founded concerns about “easy-believism” can come down to a question of whether someone is “in the faith” or “out of the faith,” not whether they’re “doing enough” or not. The danger, as I see it, is that many people think they’re Christians when they’re not—and the fact that they’re living unregenerate lives gives evidence of this. “Examine yourselves.” By all means. Even in that verse, Paul points to the authenticity of faith, not the extent to which we work. I apologize for not being able to express my thoughts better. Break the above statement into two parts: (1) “human contribution” to salvation; and (2) “human contribution to the Christian walk thereafter. Regarding (2), not only do I believe that works are necessary evidence, but I believe that they are one of the primary purposes for which we are saved. God saved us for His Son. He saved us to give Jesus the glory and to worship Him. One of the ways we are to do that is to pour out the good news to the world with our words and our actions. We are to be “spiritual highways”, not spiritual cul-de-sacs, for the Word of God. So Tom, I think that your enthusiasm for “Works” after Salvation is absolutely spot on. If, after regeneration, one is not on fire with the Word, then one is either spiritually sick, or maybe even spiritually dead. Of course, the nature and quality of the witness varies from person to person, based on their God given talents. I sense that you are a great warrior for the Gospel. Well, whether I am guilty of “semi-Pelagianism” (whatever that is–I am not a historical scholar) or not is of no interest to me. I just want to follow the message of scripture as I see it as a whole, trying to keep all the verses in the tension that they demonstrate. Certainly, Christ died for sins. But, does that mean ALL people are thereby saved? Of course not. There has to be SOME type of response to God for Christ’s atoning death to apply. So, the question is, what is that required response? At the moment, I tend to agree with the author I referenced, that what is necessary is not just “belief” but “allegiance.” And when you are actually in allegiance with God, you will demonstrate that with your behavior. It is not really some question of, “Well, how many works, or of what variety?” The question remains: “What is the required ‘response? '”, seeing there has to be one. So, we have to accept Jesus as being our “Lord” as well as “Savior.” In other words, we have to “accept” Jesus for “all he is,” and that includes Master and King. I realize that no one can “perfectly” follow Christ as Lord; otherwise, he would not have needed to die. But I think that if a person knows that he has to give allegiance, he can “check himself” to be sure he has. Is his heart and mind tuned towards God, or not? If he sees that his “way of life” is antithetical to the things of God, then he should know he has not accepted Christ as his “Lord.” If he knows that he is trying to follow Christ, though he slips up at it, then he can know he has “accepted the Lord” and be confident of his salvation. So what is necessary is (a) a recognition of the Cross, (b) one’s need for the Cross, and (c) one’s repentance in light of the Cross. I don’t think that saying “faith alone” avoids the problem. (Grant, I see that you just posted a comment as I am now drafting this one. You say, “If, after regeneration, one is not on fire with the Word, then one is either spiritually sick, or maybe even spiritually dead.” I think that fits with what I am saying here.) How do we know that we have “faith”? Is that not “proven up” by works? If so, don’t we still have that same question of, “How much, or of what type?” The question of a “heart change” is necessary in either event. So, I go back to my position that our “faith” is something that we bring to the table to get the salvation God offers and paid for consummated. And that faith has, as a component of it, an “allegiance” to God. Without that, we simply go back to God’s “arbitrary choice,” which I can’t accept, and don’t believe scripture, taken as a whole, teaches. And I would say that apart from grace, we are incapable of bringing anything to the table. This gets to the heart of the debate that Augustine had with a British theologian named Pelagius in the fifth century. You say you don’t care about church history, but my point is, we’re not left on our own in each generation to figure these things out for ourselves: we have a helpful tradition left to us by the saints that went before us. The tradition may be wrong, but we would be fools to assume it has nothing to teach us about how to read scripture, especially when we all agree that there are “tensions,” as you say, within scripture itself. After conversion and new birth, enlivened as we are by the Spirit and God’s grace, whatever it is that we end up bringing to God in terms of works is infinitesimally small. And according to my Wesleyan-Arminian tradition, that infinitesimally small thing amounts to saying “yes” through our thoughts and actions and letting God do through us. The Church Fathers of the first five centuries would have agreed. Sanctification, like justification, is also a gift of God’s grace. But in your response, you didn’t reflect on the nature of the cross. I thought that was my best point! Is Christ’s sacrificial death sufficient to cover all of our sins? If it is, and we receive this gift through faith (“If you confess with your mouth that Jesus is Lord and believe in your heart that God raised him from the dead, you will be saved. For with the heart one believes and is justified, and with the mouth one confesses and is saved. For the Scripture says, ‘Everyone who believes in him will not be put to shame. '”), on what basis do we stand condemned? Are our sins forgiven or aren’t they? Only sins send us to hell, right? You’re suggesting that there are sins that believers commit (sins of omission, perhaps, but sins nonetheless) for which Christ’s atoning sacrifice isn’t sufficient. Because you’re still talking about believers here. You’re not questioning the sincerity of their faith, only that they aren’t doing enough to be acceptable to God. If you were merely talking about insincere, inauthentic believers, then we wouldn’t be having this argument. Because you and I would be in agreement. “For this cause many are weak and sickly among you, and some have died.” Paul, speaking of CHRISTIANS who were abusing the Lord’s Supper. “Repent, or I will come and take your candlestick from its place.” Jesus, to one of the Seven CHURCHES in Revelation. So, obviously the global forgiveness of sins does not mean that God never “takes our sins into account” in how he deals with us. (I would maintain that this carries over into the “rewards and punishments” phase of Judgment Day and eternity.) The “forgiveness of sins” means that my relationship with God and entry into heaven are not going to be defeated by my post-salvation conduct (unless you believe you can “fall from grace” by apostasy). It does not mean the relationship may not be “strained” or “suffer consequences. Hopefully our wives will not divorce us just because we “slip up” now and then (or perhaps even frequently), but assuredly the relationship will not proceed as well or be as good if we maintain such “destructive” conduct. So, sins are taken into account, including as to Christians. What I am primarily considering here is whether the “magnitude of sins” may be such as demonstrates there was no “allegiance” assumed by the “would-be” Christian. I maintain that it can, and I am not sure that you disagree with that. And I don’t think “pledging allegiance” is “infinitesimally small,” as you put it. I think it is the thing that makes the difference of eternity. God offers us salvation, and pays for it, and woos us, but only “If any man opens the door, I will come in.” Opening the door, as gleaned from what is often preached elsewhere, requires “repentance,” or a “change in behavior.” Again, perfection is not the issue–we can’t. But there has to be a “decisive shift.” That is required for God’s offer of salvation to be “brought home” to us. Also, you seem to be referring above (in your words about “pledging allegiance”) to something that happens at or near the moment of conversion—a decisive action or set of actions on our part that, in your view, constitutes genuine repentance, etc. But I’m sure we both agree that repentance is something we must continually do throughout our lives as Christians, as we become aware of our ongoing sin. Under your view, at what point can we be confident that we’ve sufficiently repented such that God will say, “You are genuinely a Christian now”? Well, as to Sola Fide, sometimes you get it right, and sometimes you get it wrong! 🙂 However, it is not so much a disagreement about “faith alone” as it is, what does “faith” consist of? The book’s author contends that when the scripture speaks of “having faith” as needed to obtain salvation, it means “pledging faithfulness.” Since we both agree that “faith without works is dead,” per James, this view of “faith as allegiance” has traction. When we speak of the “moment of salvation,” I am not contending every Christian realizes everything entailed in salvation at that moment. However, that does not mean he does not have to have a “change of heart.” That is what I am contending is necessary. Certainly, “as we have received faith, so walk in it.” The Christian life is one of continued growth. But, what “starts” it? That is the million dollar question. I maintain that whether we “conceptualize” it that way or not, true “saving faith” means, indeed, such a “change of heart” over to following God, which in essence is what “repentance” is getting at. As far as the question of “at what point” of repentance is salvation obtained, I would say, “at the starting point.” All thereafter is “growth” or “sanctification.” To be “justified,” we must “pledge allegiance.” We must, again whether we conceptualize it that way or not at the moment, do a, “My life for your life” transaction. Do we have to have “enablement” of God to do that? I think that this is something that God calls on us to do. I don’t think we are incapable of saying “Yes” to God. I think, “And Abraham believed God, and it was counted unto him for righteousness,” is something that Abraham did. In one sense, God has to have given us the “capacity” to do that when he created us, but the “exercise” of that capacity is on us. He only “steps in” once we open the door. He knocks, but we open. Finally, with respect to your other point of my giving a “red herring” argument, I thought you were saying, did not Christ’s death cover all our sins? It does as far as obtaining an eternal relationship with God and heaven, but our sins still “count” against us. On earth as to “chastening,” but on Judgment Day, “Man shall give account for every idle word,” as Jesus puts it. “I will award every man ACCORDING TO HIS WORKS,” he also says. As to Grant’s, it is by grace that we are saved by faith (pledge of faithfulness–just like in the marriage ceremony) as opposed to by works, because we can’t do all the works required, which would be all of them. Therefore, we recognize that we can’t “boast” that we “earned” salvation. O.K., Tom, to be clear: are you are saying that “pledging allegiance” is a decision—in which case we’re only disagreeing on whether it’s a decision we make on our own? Tom, if this decision, as you say, is the basis on which we’re justified, then are you saying that good works naturally follow from that decision? Isn’t that where we started? 😉 Where we disagree is that you would say this decision is made without the prior work of the Holy Spirit—or at least the work is “built in” when God creates us; he makes us in such a way that we’re able to respond to his call. If the latter, that’s an interesting thought that I haven’t considered. Your first point, by the way, is a red herring: I believe that God disciplines his children because of sin. But we don’t suffer the eternal consequences of that sin. Our sins are forgiven and our status before God, which depends on Christ alone, is unaffected—so long as we continue to have faith. In, by and through these alone. Tom, nothing is arbitrary on God’s part. Though much is beyond our understanding. Grant, I know we have hashed this out before, but consider with me the “logic” of my “free choice” view. If (a) one person has such control of another person that the second person’s choices are entirely determined by the first, then (b) the responsibility for the second person’s choices would lie with the first person. If this were a “merely human” scenario, I don’t see how anyone could doubt or question this deductive reasoning. So, the question is, why is this logic not true of the relationship of God with men? I can’t think of any good reason to make such a distinction. Therefore, if God only causes the “elect” to “elect” salvation, how is he not dooming those whom he does NOT “elect to elect” to eternal ruin by his own “fiat”? How can God not be “responsible” for the “hellish” destination of the lost under this predestinarian scenario? And if he is responsible, how can God be portrayed as a “God of love” who, as scripture claims, is “not willing that any should perish, but that all should come to a knowledge of the truth”? Conversely, if we want to maintain that that “God is love,” as John states, then this would be easy to do if (a) God provides a way of salvation, (b) God woos everyone to accept it, but (c) leaves the choice of whether to do so up to the creatures. I choose this scenario over the first under general principles unless there is simply no possible way to do so with airtight, unarguable scripture, as adjudged under the analytical principle of “construing scripture by scripture.” One such latter scripture is, “Choose you this day whom you will serve, but as for me and my house, we will serve the Lord.” Also, “O Jerusalem, Jerusalem! How often I would have gathered you under my wings as a hen does with her chicks, but you would not. Behold, your house is left to you desolate.” And, “Behold, I stand at the door and knock. If any man will hear my voice, and open the door, I will come in, and sup with him, and he with me.” Etc. There are many excellent discussions of God’s sovereignty in election. If you haven’t listened to any of them, I would commend the exercise to you. A good one that’s free on line in by R.C. Sproul. I don’t expect it to change your mind, but I think it will help you to understand why we believe what we believe. I don’t find the Armenian view offensive. I used to hold it myself, and I understand the arguments. I just believe that “man’s free will” and “God’s sovereign election” can coexist. Where we disagree is that you would say this decision is made without the prior work of the Holy Spirit—or at least the work is “built in” when God creates us; he makes us in such a way that we’re able to respond to his call. If the latter, that’s an interesting thought that I haven’t considered. Yeah, I hope this has not been a great deal about nothing! 🙂 However, I think the “nature” or “content” of the decision is what I am trying to get at. It is not just some decision to “accept Jesus into my heart.” We have to believe in Jesus and his sacrifice and resurrection, certainly, but even if every single passage dealing with salvation does not focus on the “full content” of the decision, some emphasizing one and another different ones, the overall teaching emphasizes “repentance” as part of that “decision” (which I am interpreting, based in part on the author referenced, as a “loyalty shift”). So, a decision, certainly, and given the nature of that decision, works WILL follow. With respect tot the second paragraph, yes, I believe God built in the capacity to say “Yes” (or “No”) to God’s offer of salvation, and then leaves the exercise of that capacity to us. Grant, you say that “man’s fee will” and “God’s sovereign election” can coexist. I hear you, but the logic of it escapes me. It is like saying, “I control my decisions, but someone else is making me make them.” Leaving aside the many scriptures that both sides submit to the other in the debate, I can’t get past the “leap of logic” point. I believe God to be the author of logic, without which it would be difficult to reason at all. “Come now and let us reason together,” God says. So, I ask–how exactly do you “see” this “God ordained” and “my choice” working out together “in reality”? I cannot explain how One God is three persons either; not really, not with empirical logic. My best attempt says that God fulfills His preordained will by having us make a decision. We have all the “weight” of the decision. We struggle with the decision. But, God already knows/ordains our decision. He chose us, before we chose Him. You know that Martin Luther struggled mightily with the assurance of salvation until he came to understand that “the righteous are justified by faith alone”. Tom seems to be banging his head on the same door. Well, fortunately I am not banging my head on any doors! (At least not as far as salvation is concerned.) I am fully confident that I am saved and will remain so. However, I base that not just upon some momentary incident (though I had one), but on the fact that I know I have “turned my life over to God,” albeit I don’t live that in every detail of life perfectly (as John advises us nobody does). I am saved, and remain saved, by grace, but that is based on a “pledge of allegiance” which has proven itself out in works. So, God will keep you so long as you maintain your “allegiance” Is that right? Weslyan Armenianism says that we can backslide. However, I hold to the Calvinist view that once saved, always saved. Again, this is where I have been led by the Spirit in my walk. It may not be right for you, now, or ever. And, I may further evolve on the issue myself. God isn’t through with me yet.